Home » An Inferior Officer of the Janissaries. 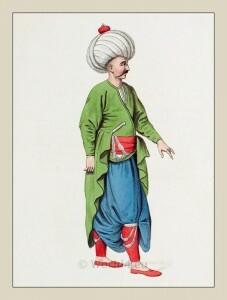 Ottoman Empire. SEVERAL plates have been given. of the different officers of this singular and extensive corps, in their various dresses, namely. Plate XVIII., XXVIII. and XXXIV. 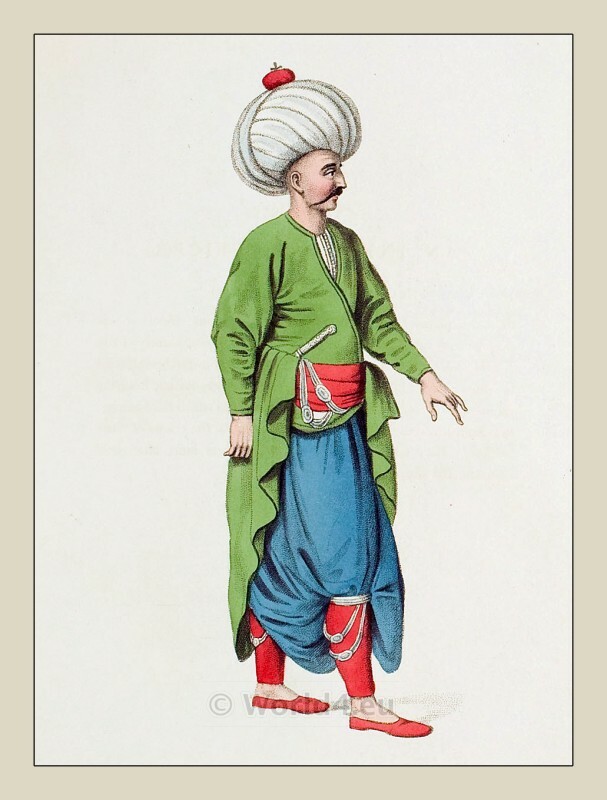 and indeed they might be extended lo almost any length, as, besides the great variety arising from the nnmerous officers, and the different provinces to which they belong, the Janissaries themselves are not restrained in the colour of their clothes, uniforms. They must, however, generally wear large blue short trowsers. red slippers, and a peculiar bonnet.